Expert technicians and mobile locksmiths are worth every penny in guaranteeing that a lock is installed properly, or in quickly securing your home or business after a break-in. 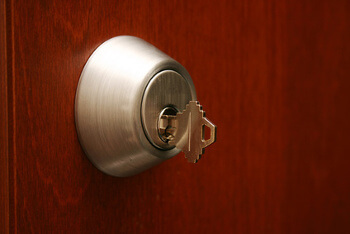 If you need locks installed immediately, you can call DC Local Locksmith Experts and relax. Deadbolt locks don’t take a long time to install but it is imperative that they are installed correctly in order to be stable. When properly installed, deadbolt locks can ensure the safety of people behind a locked door in Washington, DC and surrounding areas. DC Local Locksmith Experts are here to help you install deadbolt locks properly. It isn’t as simple to install and repair these types of locks as you may think. An improperly installed deadbolt lock may as well not even be there at all. Our company serves Washington, DC and surrounding areas. We offer complete locksmith service in DC with 5+ years of experience to handle all of your emergency, residential, commercial, and automotive locksmith needs in DC. We are bonded and insured, with a 30 min response time to calls. 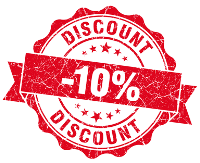 We also will give you upfront pricing so you don’t have to wonder about the damage to your wallet as well as your door or lock. Expert technicians and mobile locksmiths are worth every penny in guaranteeing that a lock is installed properly, or in quickly securing your home or business after a break-in. If you need locks installed immediately, you can call DC Local Locksmith Experts and relax. Deadbolt locks don’t take a long time to install but it is imperative that they are installed correctly in order to be stable. When properly installed, deadbolt locks in Washington, DC can ensure the safety of people behind a locked door. Complete locksmith service gives you peace of mind in knowing that all your problems can be resolved, whether it is a fix or an installation matter. When you call a locksmith, odds are good that you are in a hurry. Fast and friendly locksmith service that is available 24/7 is very important. In fact, 24/7 locksmith service is pretty much a must for customers. Break-ins happen at all hours of the day and night. 24/7 locksmith services are there to make you secure, no matter what time of day or night it may be. Don’t try to install deadbolt locks yourself. Why waste good money and your time? Get expert installation and a guarantee that your lock will function correctly so that when you need it, it works the way it is meant to. There are several types of deadbolts. Three common types are single cylinder deadbolt , double cylinder deadbolt and keyless entry deadbolt. Each type works basically the same, with a cylinder that slides through the door and into door frame. A double cylinder may be considered more secure as a key is needed to lock and unlock this type. That means a robber may break glass in the door but still not be able to get in, verses the turn style latch on the interior of a single cylinder. A keyless style may not be waterproof or could require a battery so this option is not for everyone. All you basically want to do, as a home owner or a business owner, is to make sure that you are making the job of a burglar as difficult as possible. The best way to ensure you do this is to hire a good locksmith who knows all the latest technology involved in locking mechanisms, especially deadbolt locks. Hire someone who is professional, knowledgeable, licensed and insured. You also want to work with someone who makes you feel very comfortable by listening to your needs. Deadbolts are a great start. Make sure that all of your locks are working properly, that all of your keys fit correctly and that you haven’t overlooked any possible security breeches in or around your home or business. A locksmith company is trained to assist you with these details and worth every penny of their cost if your home is ever targeted by criminals. Know that your family is protected to the best of your ability by having a reputable locksmith company take care of your security issues and install the latest in deadbolts, locks and security systems to keep your family safe whenever you aren’t around. Face it, this is worth any amount of money because you can replace most things, but you can’t replace your family or their sense of well-being and security. Don’t let that happen. Call DC Local Locksmith Experts today. 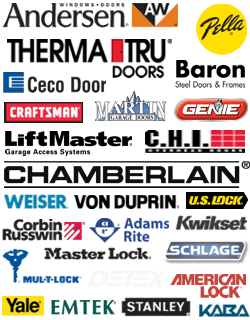 Deadbolt Locks https://dclocallocksmith.com/deadbolt-locks-dc/ 3.9/5 based upon 22 reviews.